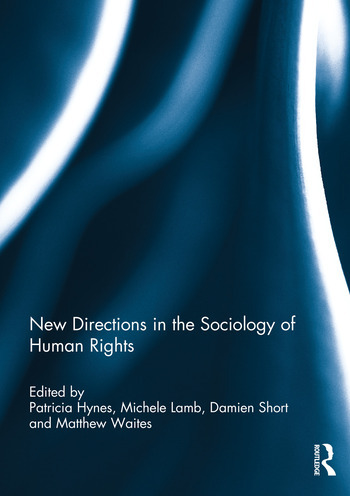 New Directions in the Sociology of Human Rights is a contribution to both sociology and to human rights research, particularly where these are directed towards challenging power relations and inequalities in contemporary societies. It expands and develops the sociology of human rights as a sub-field of sociology and interdisciplinary human rights scholarship. The volume suggests new directions for the use of social and sociological theories in the analysis of issues such as torture and genocide and addresses a number of themes which have not previously been a sustained focus in the sociology of human rights literature. These range from climate change and the human rights of soldiers, to corporate social responsibility and children’s rights in relation to residential care. The collection is thus multi-dimensional, examining a range of specific empirical contexts, and also considering relationships between sociological analysis and human rights scholarship and activism. Hence in a variety of ways it points the way for future analyses, and also for human rights activism and practices. It is intended to widen our field of vision in the sociology of human rights, and to spark both new ideas and new forms of political engagement. This book was published as a special issue of The International Journal of Human Rights. Patricia Hynes is a Principal Lecturer in the Department of Applied Social Studies, University of Bedfordshire, U.K.. Her research interests include human rights and forced migration in all its forms, including internally displaced persons, refugees, asylum and 'trafficking'. She has published internationally on these interests, including for the Journal of Refugee Studies, The International Journal of Human Rights and for the United Nations High Commissioner for Refugees (UNHCR). Michele Lamb is Lecturer in Human Rights in the Department of Social Sciences at Roehampton University, U.K., and is the founder of the British Sociological Association’s Sociology of Rights Study Group. She has conducted research on human rights in India, for the Scottish Human Rights Commission, and in Northern Ireland, from which she has published journal articles. Damien Short is Senior Lecturer in Human Rights at the Institute of Commonwealth Studies and Director of the Human Rights Consortium, School of Advanced Study, University of London, U.K. and Assistant Editor of the International Journal of Human Rights. His research interests include indigenous people’s rights, reconciliation projects, ecocide and genocide studies. He is author of Reconciliation and Colonial Power: Indigenous Rights in Australia (Ashgate, 2008), and has published articles in numerous journals including Current Sociology, Memory Studies, Citizenship Studies and the Journal of Genocide Research. .
Matthew Waites in Senior Lecturer in Sociology in the School of Social and Political Sciences at the University of Glasgow, U.K. His research interests are in sexuality, gender, youth/childhood, equality and human rights. he is author of The Age of Consent: Young People, Sexuality and Citizenship (Palgrave Macmillan, 2005), and co-editor, with Kelly Kollman of The Global Politics of LGBT Human Rights, a special issue of the Contemporary Politics (Vol. 15, no.1, March 2009).